The 2019 Cancer Day calls for the need of implementing Early Diagnosis through available strategies, thus avoiding over 3,4 million deaths yearly. MTCC welcomes this committement which has been advocated with NO DISCRIMINATIONS since 2004 founding year . – 14 live-cases treating both primary and secondary liver tumors. Rome, Skopje, Hebron with the launching of a new brochure (English/Arabic) on the management of cancer- associate pain ( in collaboration with the Federico Calabresi Fnd, Rome, and our Member Carol El-Jabary of the Patient’s Friends Society Jerusalem, full UICC Member) and the publication of the MTCC primary and secondary prevention leaflets in Macedonian (with a contribution of the Italian Consorzio Interuniversitario Nazionale per la Bio-Oncologia chaired by our Member Prof Silverio Tomao). The brochures will be diffused through a collaboration with the Acibadem Sistina Hospital in Skopje and the support of Macedonian Ministry of Health. 4th of March the International HPV Awareness Day will be celebrated worldwide. 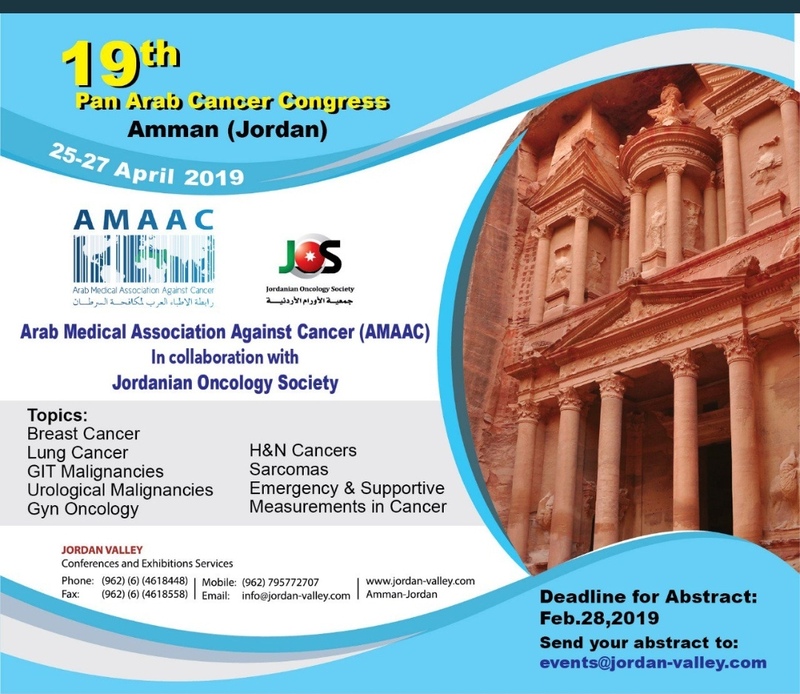 A due celebration for a landmark scientific and medical achievement which in the era of “omic” is not receiving the due acknowledgement in the fight against cancer. Needless to say this is an important initiative that well epitomizes MTCC mission. You can share information about International HPV Awareness Day by linking to www.givelovenothpv.org with your stakeholders. With the aim of establishing a wider number of muldisciplinary collaborations, MTCC is endorsing the coming MioLive Symposium (www.Miolive.eu) which will held in Rome at the Catholic University (January 29-30,2018) titled “Evidence and future Perspectives“. Divide and rule. This is what cancer is exceptional at; the cells divide uncontrollably and left to its devices, cancer goes on to rule, causing great damage on its journey. Not only does it rupture health and inflict great pain, it rules every aspect of the patient’s life and goes so far as to tear families apart. However, with the advent of technology and new discoveries, a cancer cell in the developed world, yes, will divide uncontrollably and will cause great damage, but thanks to the accessibility of state-ofthe-art treatment, and continuous research, the cancer cell has a much harder time doing its job. It will be bombarded with expert surgery, the latest chemotherapy, precise radiotherapy, hormone therapy and targeted therapy by high-tech equipment, expert oncologists, radiotherapists and the like. Furthermore, the cancer cell is also deprived of its arsenal of destruction in the form of carcinogens. Tobacco fumes that gives breath its fatal work is slowly but surely being extinguished, and other carcinogens are also being identified and prevented from giving fuel to its journey of destruction. The narrative of a cancer cell in the developing world is very different; the battlefield is not equal. The cancer cell is the victorious enemy with literally no opponent. The battleground is depleted from basic chemotherapy medicines, sufficient oncologists, radiologists and state-of-the-art equipment. A cancer cell in the developing world is not only left unchallenged, it is actually left to flourish. As a result, this year alone, 8.2 million people in developing countries will die as a result of cancer. 8.2 million lives lost: people with hopes and fears, just like you and me. How many will die in pain and suffering? Incredibly, this number is expected to double by 2020. Most developing countries are still struggling with the delivery of basic treatment, if any. They are weighed down by the high cost of cancer drugs and the complex infrastructure and human resource needs for cancer care. In addition, they are bombarded with the smoking guns of tobacco companies, and other commercial entities who promote unhealthy foods and alcohol use, who, losing their markets in the strictly controlled environment in the developed world, are now taking advantage of the lack of regulations and low taxes in the developing world as they try to secure a sizeable market share. This century, tobacco use alone is expected to kill 1 billion people and the link between tobacco and NCDs including cancer is indisputable. Early detection and prevention programs in these countries are virtually non-existent. Consequently, today the cost of cancer in the developing world is paid in human life. When IARC did the Globocan report in 2012, I don’t think they needed much sophisticated statistical analysis to see the devastating effects of cancer. The developing world was taking on 70% burden of worldwide cancer deaths and the death toll continues to this day. The original intention for the report on global cancer information was to get a “geographic pathology” of cancer in the world. What they got, was a clear red alert on the “geographic killing fields in the southern hemisphere”…8.2 million people die annually from cancer every year, 70% of which from the developing world. And this number is expected to double by 2020. However, despite this grim view, not all is lost. There is hope at the end of the tunnel. First of all, on the global level, we managed to defeat the most cancerous of all, the cancer of denial. We have placed Cancer and NCD’s on the right path to improve this unacceptable status quo, and we have already seen wins. In 2011, from the first high level meeting on NCDs), a global action plan was agreed in 2013, and in 2015, NCDs were included in the elite club of sustainable development goals. And more recently we have pushed for the new updated cancer resolution adopted by member states. We now have our own acronym, targets, KPI’s, global mechanisms all in place. … and yet the rate of progress has been extremely slow? In fact, the current rate of decline in premature mortality from NCDs and cancer is a mere 17% between 2000 and 2015- Absolutely insufficient to meet our targets in saving lives. What we need to do now is ask ourselves tough questions, acknowledge problems in order to find solutions. Why is there, despite all of these global mechanisms, a lack of national action on the ground? Where do we need a kick to the system to get things moving? How do we involve people outside the health system whose actions help to decrease the number of people developing NCDs? How do we make sure that people with NCD’s and cancer can access the care they need? How do we get people to care enough to invest in the issue? Many reasons come to mind. These include lack of resources and lack of technical and managerial expertise etc. Of course, these reasons are very real and important, but in the world of prevention especially, I believe that there are two main blocks towards progress. The first block is the mental barrier. The most effective barrier that Cancer has constructed, is probably the damage to our psyche…the feeling that it is too daunting an enemy to face off with, too overwhelming and costly to deal with…giving Cancer the most effective tool in battlefield tactics… leading us all to surrender before we start and enter into a long-term lull state of an astounding denial, stupor and inaction. The second one is about “political will”. There are many countries who sign up quite willingly to all kinds of declarations, and resolutions but NCD’s and Cancer remain not in their priority list of national Strategies and action plans and simply does not feature on their to-do-list. And if the will is not there, simply nothing will happen. For example, there is absolutely no excuse for aflatoxins, an endemic in sub Saharan Africa, to continue harming people and causing liver cancer, when we all know that by simple harvest storage measures they can be eradicated. This is not a question of money nor resources. This is a clear issue of the Lack of political will. The opposite is also true. Uruguay, or Turkey, whose leadership understood the role of government in delivering a safe and healthy environment for their population, led their countries to be Tobacco free by sheer political will alone. When I was first invited to this scientific conference, I must admit, I felt apprehensive and somewhat out of place. What can I say more about carcinogens to such a distinguished, learned and scientific audience? So, I was busy researching and reading to come up with something intelligent. I learnt a lot. But my greatest discovery was the glaring fact of how much I actually did not know about your important work. How big of chasm between the scientific and nonscientific community. How the conversation about carcinogens vis a vis the fight against cancer generally is virtually non-existent in the public domain and especially in the developing world. Of course, we talk about tobacco as the ultimate carcinogen, and other risk factors such as poor nutrition, harmful use of alcohol, lack of physical activity and infectious diseases, but there is no knowledge or focus beyond that, certainly no focus on occupational and environmental carcinogens that significantly contribute to cancer incidence and mortality. Nor is there knowledge about the 120 agents listed in IARC monographs that has proven to be 100% cancer causing agents! In fact, I was stunned to know about the existence of the monographs a mere three years ago only!!!! As a lay person, we are always bombarded by “internet science”…don’t eat this…don’t use that”…to the point that one feels that everything causes cancer…as a colleague of mine said” you know what everything causes cancer…I give up…there is no point and therefore I am going to enjoy myself eat and drink what I like”. The conversation about what has been scientifically proven and what has not been proven is simply not there. The public is utterly confused. So, in developing country settings, where there are no Collegium Ramazzini institutes or no IARC’s to fight this ignorance, basically carcinogens take over. They take over the air we breathe, the food we eat, our industry, with absolutely no challenge from anybody. In fact, developing countries have become an attraction for industries escaping the rigorous regulation in developed countries, and transferred their production into developing countries. We need you as the scientific community to find new innovative ways to communicate and bombard better your life-saving findings to governments, legistlators and public at large. You have to remember to speak to us in a language that we understand…many of us still find the Chemistry table of elements a mystery? Me included! If you tell us about a carcinogenic agent, tell us where is it in our daily life, so we the public become also advocates for your scientific discovery…we are the potential pressure group that has not been tapped to demands change. Without changing the conversation in terms of place, style and target audience, the conversation will remain a whisper in scientific corridors, rather than being amplified and going viral straight to decision makers. I want to thank Ramazzini institute for all that you do. You the scientists, are the hidden soldiers in the fight against cancer, the scientists, epidemiologists, and statisticians and all researchers in the field. Without you, we would not know what cancer thrives on, where it strikes, how often, and most importantly we would know what cancer abhors. We would live in a world with no numbers, no cancer registries for countries to size up the burden of cancer, and we would all be passively and helplessly waiting to be struck by cancer; accepting our fate as simply a matter of bad luck. Instead, you have given us knowledge about the new weapons against cancer. You helped us size up the problems we are facing, helped us to decipher which prevention interventions worked or not, and you also helped us know that we have solutions right at our fingertips. Thanks to all of you scientists we now know that we can actually prevent cancer, that 40% of our health is in our hands, and we have the tools to face cancer head on. You need to know that we value your work. We value the fact that you have been the cancer community’s authoritative and independent reference. We value the fact that You have been the ultimate custodian of the truth, in a world where truth is constantly challenged and traded for the profit of the few. Thank you for all that you do for humanity! And Thank you for including me in your super intelligent club for 10 minutes!